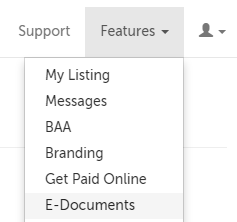 This support article illustrates how to delete an E-Document template so that it is no longer available for use. 2. Use the "Edit Templates" button. 3. Use the "Delete" button next to the template you wish to delete. 4. On the message that appears, use the "Delete" button to confirm you wish to delete this template.